If you’re looking to take your child theme past simply making CSS customizations and dive into PHP, and using your child theme’s functions.php, the concept of action hooks one of the most important things you’ll want to master. Action hooks are used all throughout WordPress. They allow you to “hook to” them, in order to execute your custom functionality. And in addition to that, theme and plugin developers can also create their own custom action hooks in their products, for other developers to hook to. This is a very important step theme and plugin developers can take, to make their products more extendable to other developers. 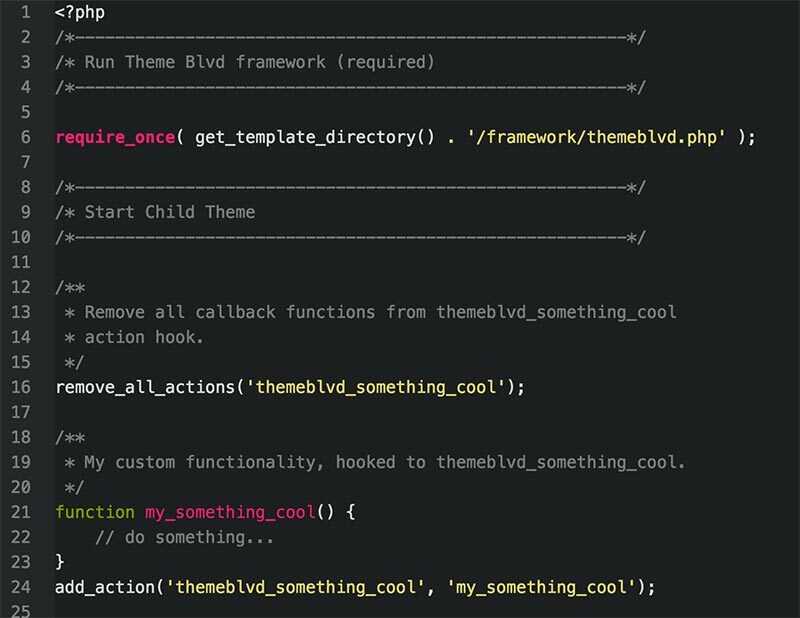 Within the Theme Blvd framework, this is what we’ve done for you. We make extensive use hooks, with just about every piece of functionality we add. This means you can add your own functionality, or remove something the framework is doing, all from your child theme’s functions.php. If you browse through WordPress core, you can find the function do_action() called all over the place. The strings passed in are actions you can hook to, to execute custom code. And then browsing files of the theme, you can spot where we’ve added tons of these action hooks, as well. 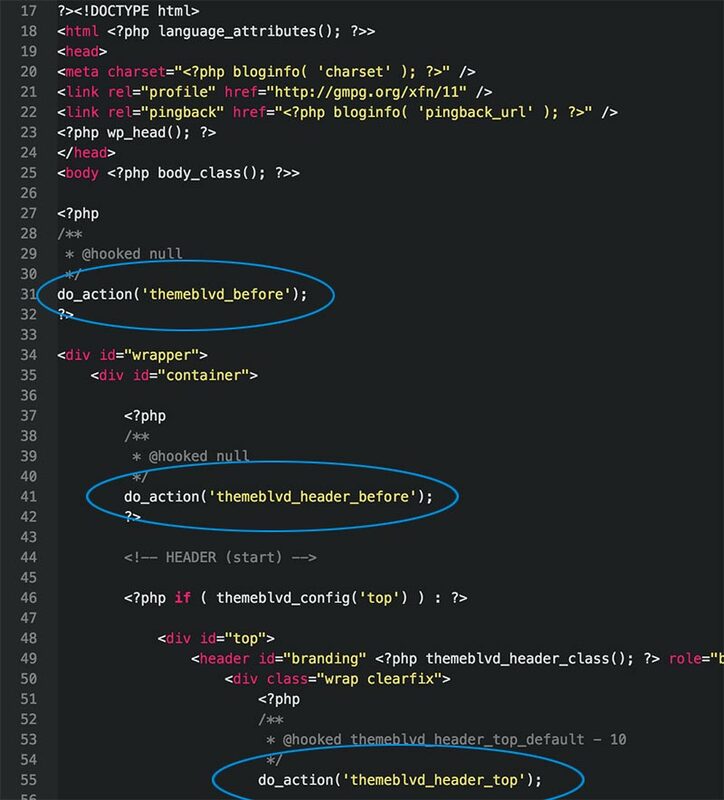 Screenshot from header.php of the theme framework. Ok, so you’re seeing these action hooks and understand how to spot them, but what does it all mean? Let’s setup a theoretical example that doesn’t exist anywhere, but should hopefully illustrate what happens with an action hook. So now let’s get to work from our child theme’s functions.php, to start utilizing this action hook. First of all, does this framework action have anything hooked to it by default? We can see the comment above the action hook tells us that the themeblvd_something_cool_default() callback function is hooked to it, by default. So, if we want to replace the default functionality, we need to first unhook that default callback function. Or, if you’re having trouble figuring out what’s hooked to the action, by default, you can use remove_all_actions() function to just remove all hooked callback functions. 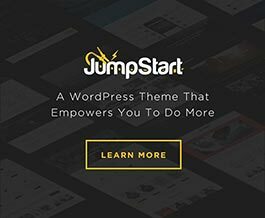 Note: If you’re using a theme with theme bases, like Jump Start, and you’re not using the default “developer” base, using remove_all_actions() might be the easiest way to remove default callbacks. And now we’re ready to hook our own functionality to the action. You do this by utilizing the add_action() function. You’ll pass in (1) the name of the action hook and (2) the name of your callback function. * My custom functionality, hooked to themeblvd_something_cool. With this example in our child theme’s functions.php, we might now have something that looks like the following.